Features: 4band tone control, 2 separate inputs, extra loudspeaker output, line-out, mute out, ground lift, -6 dB switch, phase turn switch, head phone output, class-D power amp. 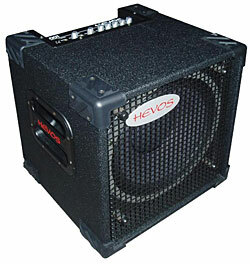 You can also get the pure 10″ Midget-box without the amp, what I prefer. Lightwight, loud and natural sounding. I use it with an AI clarus.